Filed under raspberrypi on September 15, 2013. 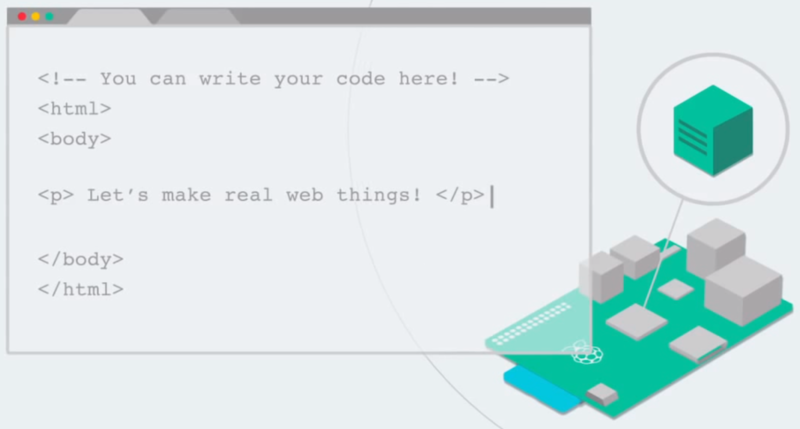 In this post, you will learn a bit more about my experience with this new development platform for the RaspberryPi, learn how to ssh into the distribution, and also view a couple of images from the install. Before I prattle on about with my thoughts, check out the video below. It will provide a good sense Coder and its functions. The developer claims that you can setup Coder on a RaspberryPi in less than 10 minutes. These minutes do not account for the time needed to burn the OS image to an SD card. 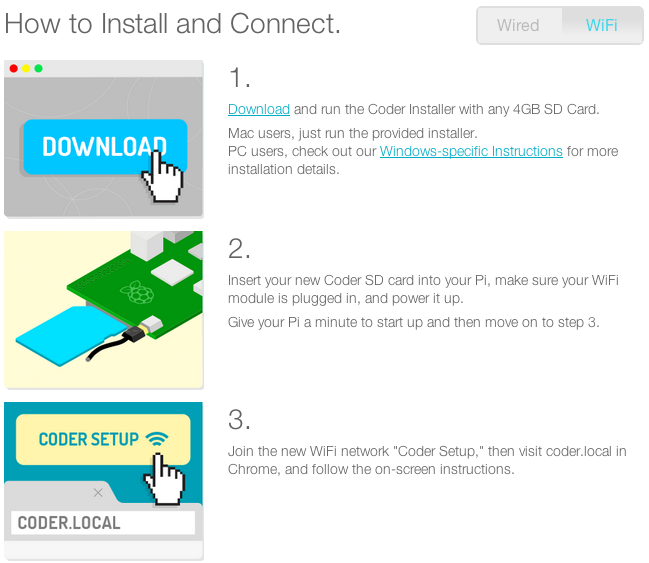 Coder made this process simple though by providing a Mac installer in the download package. No need to use my popular, but lengthy, Terminal instructions. Took about 7 minutes for my iMac to transfer the OS to the SD card. 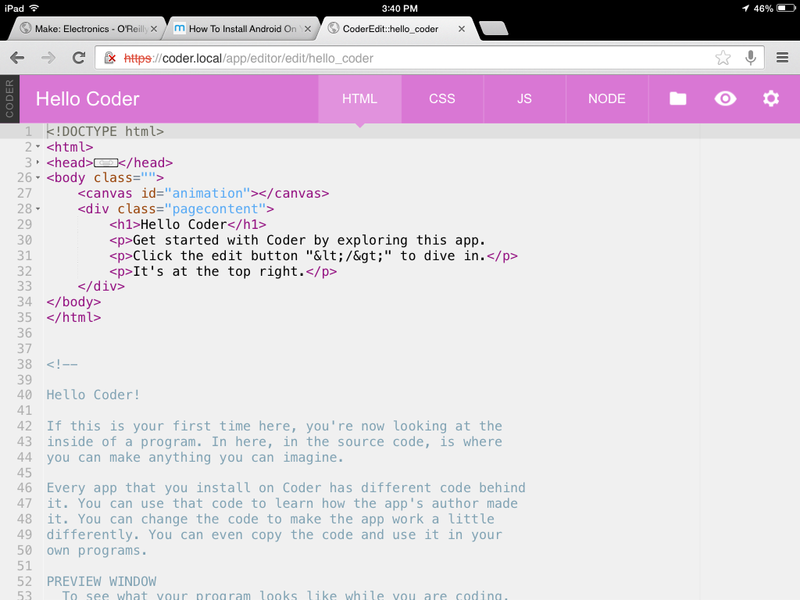 access the RaspberryPi on my Mac using the http://coder.local url in the Chrome for Mac browser or for iOS (shown in the image below). review the sparse Settings Coder provides the detailed install process on their web page. Below is a capture of the Wi-Fi process I used. I posted several screen captures taken during the install process on Google+. I have embedded that post below. A nice feature I found, after a quick cursory exploration of the sample code, was the ability to export projects so they can be hosted on other platforms. Files are collected and placed in a .zip file for download to your Mac or PC. This feature makes the Coder/RaspberryPi configuration a very robust, basic and secure web development tool. Can I ssh into the server? Is apt-get or yum supported to update the OS when updates are available? Coder uses the regular Debian distribution so apt-get is available and ready to use. Can I install additional software on the server and make the RaspberryPi multifunctional (this of course requires the answer to the first question to be “yes”)? Is there the ability to activate PHP, Ruby, Python and other web development languages (they may already be in there)? Can I make this instance of Coder accessible outside of my home network? Can the server host my projects without revealing code? Coder development is still very early. The version I installed was v0.4. Clearly there is more work and more features to be added; however, even in this infant state, Coder is a very capable tool to provide children, adults and coders alike with a very competent educational tool or web testbed. Update: I’m actually using this as my primary development distribution. I regularly update the OS and install additional developmental tools. I recently installed Ruby to give me an additional programming environment.